Home » Blog » Professional Carpet Cleaning in Leicester: 100% Money Back Guarantee! 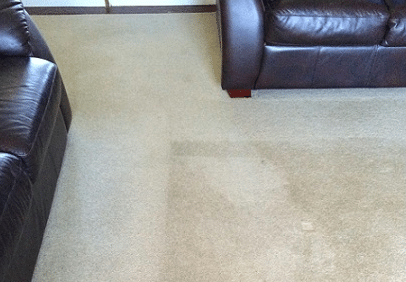 Bailey’s Carpet Cleaning Services in Leicester: 100% Satisfaction Guaranteed. Areas we cover include: Leicester centre, Hinckley, Market Harborough, Melton Mowbray, Lutterworth, Billesdon, Market Bosworth, Loughborough, Bottesford and surrounding Leicestershire areas. If your carpets have become dull and dark over the years and you want to avoid the cost of buying and installing a new carpet, we’ve got good news for you: a new carpet simply isn’t necessary. The carpet cleaning technicians at Bailey’s Floor Care Specialists have been providing professional carpet cleaning in Leicester and surrounding areas for nearly 20 years now, and are able to completely restore your carpets in just one service, leaving them looking as good as new in no time. As a local, family-run carpet cleaning company, we provide carpet cleaning in Leicester and Leicestershire areas on a regular basis for both home owners and commercial properties. We find it rewarding and enjoyable working as part of the community in Leicester, frequently cleaning carpets for clients in Hinckley, Market Harborough, Melton Mowbray, Lutterworth, Billesdon, Market Bosworth, Bottesford, Loughborough and surrounding towns. Unlike other carpet cleaners in Leicester, the technicians at Bailey’s Floor Care provide a thorough and extensive carpet cleaning service, not just a ‘quick clean’ that leads to your carpets requiring another service just a couple of months down the line. Before even beginning the cleaning process, we carry out a routine analysis of your carpet. This allows us to choose a cleaning method that produces the best results, without the risk of damage to the carpet fibres. Using carpet cleaning methods we’ve developed through extensive training and experience, and some of the best available equipment in the industry, we’re able to completely eradicate dirt and grit that’s become embedded in your carpets, leaving them looking brighter, smelling fresher and feeling softer. Another thing which a lot of people are unaware of is the fact that the grit and dirt that becomes embedded in your carpet will actually damage the fibres over time, causing matting and thinning of the material. So, a good clean will actually increase the longevity of your carpets, meaning you can wait a lot longer before having to replace them. That’s right. Unlike other carpet cleaners in Leicester, we provide a 100% Money Back Guarantee on our carpet cleaning services. Since we began providing carpet cleaning services back in 2000, we said that our number 1 priority was customer satisfaction, and we still stand by that today. So, if for whatever reason you’re not happy with the service we provide or the results we produce, just let us know. We will return to your property as a matter of urgency and re-do the job completely free of charge. If you’re still not happy after the re-clean, we will give you all of your money back – no questions asked. It’s as simple as that. 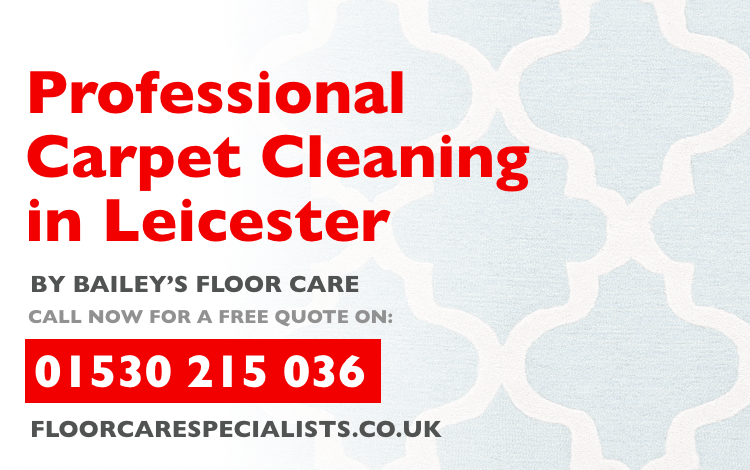 So, if you’re looking for a reliable, experienced and locally trusted cleaning company that provides professional carpet cleaning in Leicester and Leicestershire areas, get in touch with the team at Bailey’s Floor Care to receive a free no obligation quote. Send us a message using the form on this page or call 01530 215 036 to talk to a friendly member of staff directly. As you came highly recommended you lived up to expectation. I’ve had a wander round inspecting your hard work and it all looks marvellous, so many thanks to you and the lads, great job and the spot cleaner made light work of the stain on deck four too so all good. We have never had any carpets cleaned before and we can see a difference even though our carpets are quite old. The work was carried out efficiently and Richard was very friendly, courteous and helpful. We would not hesitate to recommend your carpet cleaning services. Excellent service and carpets visibly improved. You have an excellent technician. He done a very good job and the carpet looks like new. Wonderful. The pile come back on the carpets. Great job and a very pleasant hard working young man. Very good and the carpet was greatly improved, with exception of one stain but I was warned it might prove difficult to remove completely. Very pleased. Friendly, pleasant, considerate, informative and that’s just Richard. Very professioal in all areas. Well done and thank you for an excellent job. Professional, courteous, knowledgeable, efficient. Very pleased with the results my carpets look “brand new”. Good initial information and communication regarding my appointment. Technician arrived exactly on time and did a professional job with no fuss. Totally reliable and efficient. Very professional and an excellent service. Will certainly use again, never disappoints! Very professional and well-organized company. Professional, slick, caring and knowledgeable. An excellent company, delivers exactly what they said they would. Very efficient very good service the technician was very good, and we were very pleased with the results. Absolutely delighted with all aspects. Technician very courteous and dedicated to doing a professional job, he was very thorough and took pride in his work. A reliable and professional service. Very good and business like. This is the second time I’ve used Bailey’s Floor Care and both occasions have been very good. Your technician was very good and so pleasant. Very important in someone who comes into your home. Very professional and efficient. I was very impressed. Lovely clean carpets which dried quite quickly with no damp smell just a fresh scent. Very good, professional, efficient, very happy with job done for us. I have used you before and I would use you again. Very satisfied with the whole process. Well worth recommending to friends. Excellent would recommend your company to family and friends. Really good job help and friendly staff. An excellent company to deal with. Good customer relationship, reliable, high standard of work and excellent results. Pleasure to do business with, quality of cleaning was exceptional and we will use you again. An excellent company in every way. Very good. Very professional. Jordan was extremely kind and helpful. Professional company providing an excellent service. Good product effective. Jordan represents you well. Very impressed would use you again. Have used before and the company remains first class. Very efficient, did a good job. Professional, aiming to do a high quality job. This is the second time I have had my carpets cleaned and I am very satisfied. Thank you. Very happy to use this company again and again for my cleaning needs. Very efficient, offering a good service which was carried out as expected giving an excellent clean. We were very happy at the level of service we received from start to finish, well priced for work carried out. Well pleased with the overall performance. Thank You. We found the company very professional and informative throughout. Excellent efficient service with good results. Very professional. The moving of furniture was never a problem to them. Reliable, trustworthy, not the cheapest but it is the results that matters. Excellent we always contact you if we have a carpet cleaning problem. Have recommended you to many friends and family if they want carpet cleaning. Very good service, prompt and very professional. Will certainly recommend to friends. Firstly I found the quotation free from any pressure, which made a nice change!! The technician was very efficient. The carpets turned out to be very , very clean. Fantastic service provided, always very friendly and professional. Good results attentive staff. Genuine family run company that provides excellent customer relations in order to encourage repeat orders. This is my second time of using you - not disappointed. Good work completed, on time without fuss or problem. Technicians did an excellent job and were courteous and friendly. We are always satisfied with your work. Excellent service, no complaints and happy to use you again and recommend you to anyone. Very professional well turned out staff and equipment, no hard sell. Very competent well trained staff with pleasant manner. Highly satisfied Tom is an excellent employee, so polite and smart. Would recommend you without any doubt. Very professional and informative and helpful at all times, would certainly use your company again in the future. Excellent you live up to your promotional material. Brilliant, very, very professional and knowledgeable. You know what you are about, Results are always excellent. We were very impressed with the service we received from your company. Your technicians Tom and Jordan are a credit to you. Very pleased with the result. Very thorough, spent a lot of time on each item cleaned. Carpets looked like new after cleaning. We have been very impressed with all aspects of your company, you have been very professional and helpful throughout and have provided an excellent service. We have been reluctant to have our carpets cleaned before for fear of inferior job which would have left carpets in a poorer state. However right from receiving your advertisement we had the impression of a quality company who took pride in an excellent job. Very professional in service & knowledge. Very prompt, courteous and explained what he was doing and even showed us around to show what had been done. Easy to deal with, very approachable and very professional. Excellent results from natural stone cleaning and a clear explanation of the whole process throughout. Good professional service with friendly and polite staff. You gave a good explanation of what you would do which gave me confidence to ask you to do the work. Technician was polite and efficient. You always do a thorough and professional job. Considering the state my carpets were in before Tom came he was a pleasure to have him clean my carpets very polite and hard working. From the outset everything was carried out in a professional and friendly manner. A very friendly and professional approach to the cleaning of carpets. We were very impressed and we have used your company before and we wouldn't go anywhere else. I feel you delivered exactly what we required. Excellent service as always, this is the forth time you have cleaned my carpets and it still looks like new. Carpets look much brighter and fresher and small stains disappeared. Thank you a very good service. Very pleasant people to deal with. Questions answered well, very efficient on the day. A caring company who sent a get well card for my husband when we had to cancel the initial clean and a thank you card on completion. Thank you for your kindness. Very pleased made a excellent job. Professional, honest, polite. Would definitely recommend. Extremely professional & informative about the cleaning technique. Very pleased with the results & would highly recommend Bailey's Floor Care. I need look no further. We are very happy with the results and service we will not hesitate to recommend your company to others people in the future. Thank You very much. The explanation as to what the procedure would be and what it would achieve was made very clear. Tom who carried out the work was friendly and helpful. First class job, would highly recommend them. Friendly, professional, efficient from first enquire to completion. You have given our 34 year old carpets a new lease of life. You have saved us a lot of money, we do not have to have new carpets. Job well done - kept to time. Very efficient job and caring, professional approach. We are well pleased with the overall result. Yet again, entirely satisfactory. Effective and efficient, we were very happy with the results. Well able to meet every eventuality. Gets job done with minimum fuss. Brilliant job delighted how good the conservatory & kitchen look. Very professional but customer friendly. Will recommend you to everybody. Tom was a very pleasant young man and efficient. The job was efficiently & professionally done. A professional organisation providing quality carpet cleaning. Very good service informative and helpful staff. Jordan was very pleasant and professional explaining each process when cleaning. Excellent service very prompt and thorough. Tom was delightful. Absolutely wonderful. Very helpful everything was explained. I think your company is excellent. The technician explained every thing to me and I was delighted with the work done on my carpet it has came up like a new carpet. A very good, careful and professional company throughout. Professional approach which leads to excellent results. Great service, no problem what so ever. Competent and caring, good helpful advice. Excellent service. I would definitely use you again. Very Professional, excellent - very pleased with the service. I would recommend you to my friends. Will use your service again. Very good service excellent cleaning. Professional and thorough cleaning as previously experienced. Helpful and professional . Refreshingly different. No hard sell. Very professional but with sincerity. I found everything from start to finish went well and now my carpet looks as if it was just fitted. Does what it says on the tin The carpet came up very well. You do exactly what it says in your advertisement, with skill & very impressive results. Better than new carpets. A wonderful start to 2014. Very professional but also friendly a pleasure to deal with. Excellent service & excellent cleaning results would recommend to others. Very good very professional, very happy with result but also very expensive. Good job, will use again. Did a good job, couple of stains showed no change in the bedroom but living room much improved. Very impressed, honest professional company. Knowledgeable & friendly & helpful. Really delighted with the results especially the carpet. Technician worked his heart out, really good job. Caring, Courteous and professional in every way. We were told exactly, the work required to remove all stains from our carpets, plus the time taken for drying after the work was carried out. Very prompt and efficient excellent caring and courteous staff. I'm really pleased I decided to give you a call - job well done. I would use you again and will recommend you. You did everything you said you would do. Efficient and professional, Honest approach and hard working. Professional and efficient, very good. Carpets are drying nicely and have refreshed the look of the house. Excellent service and would recommend. Fantastic will use you again. Very courteous and friendly, good workmanship excellent service. Very professional and all transactions were carried out in a friendly manner. Tom was excellent and a hard working pleasant young man. Excellent service, excellent product could not fault the job. First Class. We are extremely pleased and surprised at the results. EXCELLENT, also we cannot praise Jordan enough, he was very thorough, helpful, gave good advise. Our carpets look really good. Thank you. Very professional and provide an excellent service. Professional, courteous polite and knowledgeable. Excellent. Carpets are approximately 6 years old they now look brand new. First class, the carpets look like new. Fantastic, gets the job done to a high standard and far better than we could achieve by hiring a carpet cleaner ourselves to do it. Excellent service, Excellent cleaning of a carpet I was expecting to replace. Very Efficient, friendly and professional service. Will use you again. Excellent I would use you again and recommend your company. Very professional, very friendly and a very good service very, very happy. Will have no hesitation about recommending you. So pleased I decided to have the carpets cleaned instead of looking at buying a new one. First class work by pleasant and efficient technician. Very good. We feel we are in good safe hands. We were delighted and relieved that the products used had no fancy perfumes added and I was also very pleased with the results in the Dining Room where black dust marks had come through - they have virtually disappeared. Will use you again and recommend you to others. Highly Recommended, professional. After a brief look around to see where was to be cleaned the operatives got on with the job. No messing around and no fag breaks. I can describe it in one word EXCELLENT!. Fantastic very professional company, would highly recommend in future. Everyone I spoke to and met were very friendly and helpful and explained everything that was going to be done. Very Good. First class service thankyou. Very impressed with the whole service, form quote to completion. We were very happy with the work carried out. We realised that our carpets had been left too long, so getting them "spotless" was a real challenge, but the results were very good. Very reliable did what they said. Carpets were really clean. Vey professional and efficient. Carpet looks like new. It was a good service and will recommend you to other people. Excellent. Very helpful service from both original estimate and from the person who carried out the cleaning. Both also gave helpful advice about maintaining carpet after cleaning. Excellent quality of work as usual, have used you for a number of years and will continue to do so. Our carpets look almost like new. The technician worked hard on difficult areas like the skirting edges and under the airing cupboard door. The whole process was efficiently carried out and we are very pleased. Very efficient, excellent cleaning service. I would recommend them to anyone. It came over as an excellent company and I would be happy to recommend it. We now have lovely clean carpets and had service with a smile. Very good, its like having a new carpet. Excellent, really didn't think it would come up so clean, so was really amazed. I was very impressed with the service, Technician was excellent he did a super job. Impressed, you obviously try hard to maintain a high standard. Excellent service will most definitely use again. We are very pleased. We feel we have paid for a good job done. Excellent service, prompt, polite and professional. Strong emphases on customer service. knowledgeable, very tidy and efficient, due care and consideration and respect for clients property. Very good on just the one small job. I will cosier using you again and recommending you based on just this one brief job. Very professional and courteous. I was impressed. Very good. I would have no reservations in recommending you to friends who need a similar service. I would use the company again and would recommend it. Efficient, well presented and courteous. A Very good service, excellent job and good value. Great, I am so pleased with results, certainly recommend to others. Did an excellent job will continue to use, give good advise without putting pressure on. I was very impressed how clean my carpets looked and would certainly recommend you. The young man that came was very pleasant and helpful. I found Bailey's Floor Care a very efficient and knowledgeable company to deal with. Excellent service very professional, courteous, delighted with the results, value for money. A professional service, polite and helpful technician. I am delighted with the end result and the technician ensured all was left clean and tidy. Promptness. we were very pleased with the overall performance. Could not find any fault and certainly we will use the company in future. We are absolutely delighted with our carpets now and would have no hesitation in recommending you to our friends. This is the second time you have cleaned my carpets and the fact that I have had you twice says it all. You were as advertised, I think that speaks for us. A good job left clean and tidy. We were very pleased with your services. The carpets are fresh and bright and the colours are beautiful. Professional, honest and good service. This is one of the most professional companies I have had to deal with. Everything was followed up, arrangements were kept to time and the results of the cleaning were impressive. It was a student house so it was quite a challenge. .
Tom ensured that the carpets were left as dry as possible. I was very pleased with the result. Professional, punctual, would not hesitate to use you again. Gives very good service and is extremely well organised. Staff are very pleasant and helpful. Excellent and caring staff, carpets cleaned to a very high standard. Friendly, honest company who do a good job. Thank you very much i was delighted to have won a free room of carpet cleaning. Quick, effective and results are Brilliant. Excellent. Best carpet cleaning we have ever had. Would definitely recommend you. Couldn't be better. I would have no hesitations in recommending you. An extremely professional company and an excellent service. Very good service, helpful and friendly. More than happy with the work carried out. Very thorough, very honest, reliable and trustworthy. Very honest, reliable and professional outfit. I was absolutely delighted with the results. I tried another company once but never again!! you are not the cheapest but you are positively the BEST. Thank you. Excellent, clean, neat, tidy and very informative technician. Provides an excellent service and explains thoroughly the aftercare. A perfect example of how a company should be run. Value for money removed stubborn strains completely. A very professional job with excellent results. Very good indeed and very helpful. Excellent clean. Amazingly even the stain was removed, the carpets looked like new. Thank you. The service we received was impeccable and the results totally satisfactory. Would highly recommend you ourselves, my parents have now asked for your number. Brilliant job of getting kids spillages out of our cream carpet which is now back to its original colour. I just wish I had used your services before as my carpets look so much better. I've even removed a rug from the lounge to show off the new clean carpet. An excellent professional service. Carpets look absolutely first class. Definitely will be using your services again and recommending to friends. Very pleased with everything amazed how clean my carpet is now. A good professional job well done. As usual an efficient and excellent service. Carpets look great again. Technician deserves fullest praise. Efficient, Hard working and extremely polite. The service was fast, friendly and professional and our carpets look like new. We were really pleased with how quick you were able to come to us for a quote and the clean which makes us feel confident to contact you again if need be. I thought it was an excellent service and I'm thrilled by the results. Punctual, efficient, excellent results carpets look like new. Very good would use you next time. Excellent. No hard selling, professional, excellent value for money. Technician was very hard working, just got on with the job. I am very impressed with the service and the results. The carpets look like new. What a pleasant quick and perfect service we got. We couldn't be happier. Efficient service. No time wasting just got on with the job. Very pleased with the end result a good job well done. I can't believe that our carpets look as new! Staff are most pleasant and efficient. Excellent work by your worker. I just can't believe the difference its made, carpets all look like new. Your technician was polite and friendly. He didn't waste any time just got on with the job. Thankyou so much. You have been hear before. We are very pleased with the work that was done, its great, well worth the money. I hugely appreciate the personal attention, regular care and lack of vicious chemicals. Previously my carpets were dirty again very quickly. Now my carpets look new again. The technician was very good and worked really hard. The whole process was very professional. You are very professional and I always get good results.